My earliest childhood memories involve the pantry my mom converted into a playroom, her in-house daycare business, and . . . dryer sheets. I used to take a fragrant dryer sheet out of my pocket to inhale deeply throughout the day. At age three I didn't understand why my aunt thought that was hysterical. Now I know my bizarre ritual was connected to a latent ability. Spiderman has his Spidey-sense, Batman is badass, and I have Cat-Nose! I'm serious, I have a heightened sense of smell! Scent is my obsession. I garden, help teach and take herbalism, vegan and aromatherapy classes because smelling natural aromas is my nirvana. Of course it was love at first sniff for me and essential oils (or EOs as I'll shorten it occasionally) and I've used them as fragrance for years, but I didn't know that those beautiful oils were medicine until I started my Medical Aromatherapy coursework. These oils are not just pretty smells. They are legit healing modalities; it's SCIENCE! And it's fascinating! Essential Oils are stored in microscopic cellular containers in the plant! 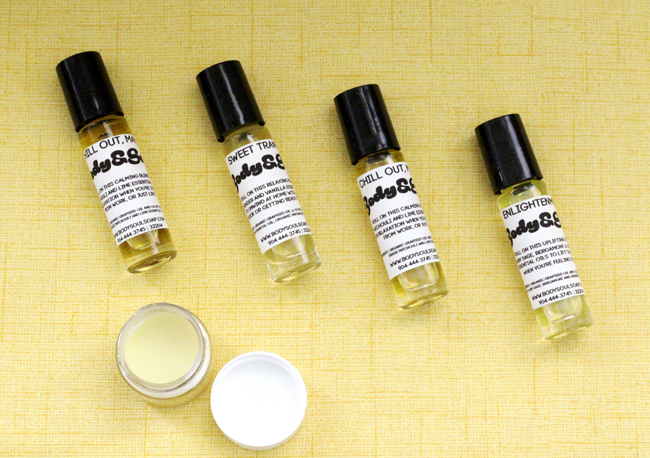 Therapeutic Roll-Ons and a Solid Perfume we make with essential oils. Available here. How Do Essential Oils Heal You? The tiny molecules are also why they can scent a whole room so beautifully, by the by! Because essential oils pass straight into our bloodstream to heal us, we can reap their benefits simply by applying them topically! 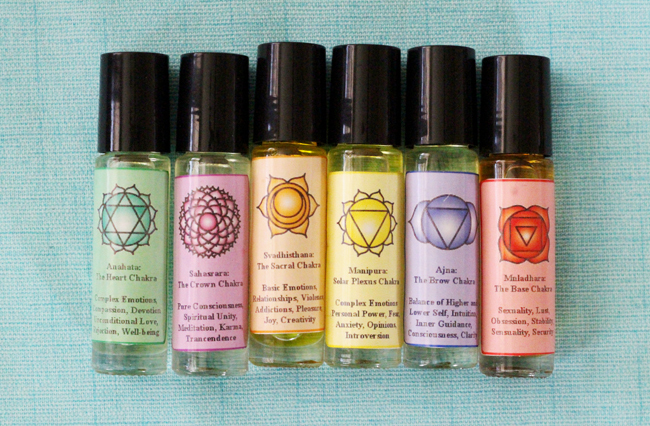 Chakra essential oil roll-on scents we formulated in class as one of our tests. BUT knowing the specific chemical constituents and their results above will help you create specialized healing salves, lotions, sprays, soaps, tinctures, etc. 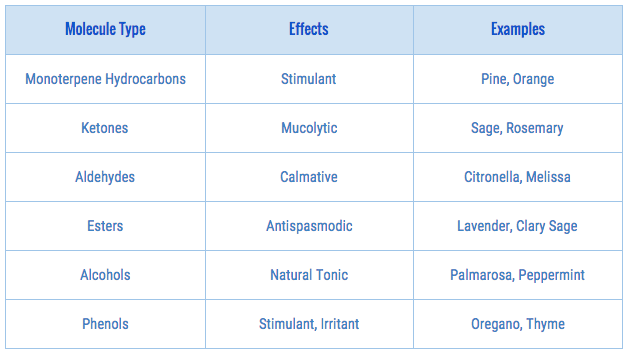 UNDILUTED Essential oils are extremely volatile NEVER apply them directly to your skin. NEVER consume them. ALWAYS dilute them in water or a carrier oil. ALWAYS consult a doctor before trying any medical treatment. Any well-trained Aromatherapist or Herbalist is going to ask for your medical records and have you see a trained physician first! All that said...don't fear natural products with essential oils. They are diluted, usually by a lot! 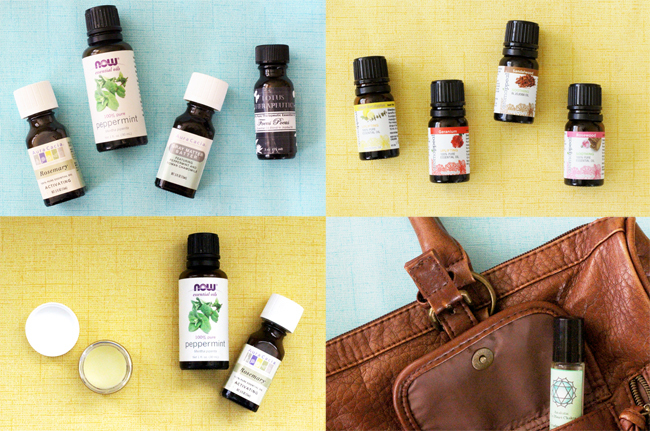 I LOVE my essential oil roll-ons and sprays on-the-go. So does the people around me! - I loved this page that details the essential oil chemical constituents. Great website. 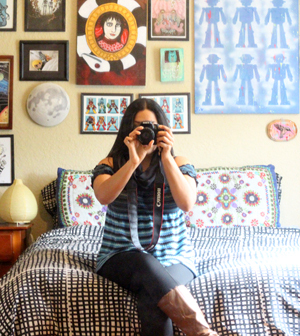 Thanks for such an awesome in depth post on essential oils! I love Rosemary too but my favorites would have to be lavender or something citrusy like orange or lemon. I adore citrus. I use grapefruit daily. I've actually avoided them because I heard a bunch can be harmful to cats. So, instead of risking anything since I'm uncertain what's actually okay, I just don't use anything. It's true. I took a pet aromatherapy class and too much isn't good for their little systems. Their livers don't have the necessary enzymes to break down not just essential oils but different medications and household cleansers which causes a toxic build-up in their bodies. You can use certain hydrosols on cats, they're higher in safer monoterpene alcohols. Avoid high phenol essential oils like: oregano, thyme, clove, cassia and winter/summer savory. They're also sensitive to all the citruses. All that said, my teacher has a cat and a dog in her studios and they are healthy. It's not the ideal environment for the animals but she gives them the best life possible. There are many natural ways to treat your cats without using essential oils. Oh that's a bummer. Yeah, I vaguely remember something about citruses -- I think that's how I found out since citruses are my favorite and I was using them at the time that I first read about it! It's fine to use them in the house as long as you're not putting them on your animal undiluted. Most houses have glade plugins, scented candles and toxic cleansers that are worse and their kitties live long lives. Thanks for sharing! Bookmarking this and reading later this week :-) I always love citrus scents and lavender. I would love to get to know a bit more and not just use them for their lovely smell! Aromatherapy is good for health. This is a very nice sharing. Its an informative post which is helped for the others. Thank you for your nice sharing.